Iran is not done sending a message to indebted tankers in the Persian Gulf. For a second time in three weeks, the Iranian Navy fired across the bow of a commercial ship near the Straits of Hormuz. On May 14, Iran fired shots near a ship with a Singaporean flag. The Alpine Eternity, as the tanker is called, fled to waters controlled by the United Arab Emirates to avoid further confrontation with Iran’s Revolutionary Guard Corps Navy ships. Iran insists the incident is a commercial one, relating to a debt owed on damage done to an Iranian platform. The previous incident blew over, but a pattern seems to be emerging, raising the prospect of higher insurance rates for tankers traveling near or in Iranian waters. The incident came just as US President Barack Obama was hosting top officials from the Gulf Cooperation Council. Although Saudi Arabia and three other Gulf states declined to send their heads of state in an apparent protest over unsatisfactory security guarantees, President Obama and Arab nations from the Gulf discussed the details of the pending deal with Iran over its nuclear program. With Saudi Arabia telegraphing its unease, Obama was under pressure to offer yet more security assurances. Related: Are US Drillers Actually Making A Comeback? Emerging from the meeting came a stronger pledge from Obama on the defense of the Arabian Peninsula. Obama said US commitment to the security of Arab allies was “ironclad.” He laid out new promises of air, maritime, and cyber defenses to ward off Iranian threats. But he resisted Saudi pleas for a more comprehensive defense pact that would require the US to commit militarily to fight Iran in the event that Iran attacked one of the Gulf States. He is treading a fine line as he seeks to assure his Arab allies of US support while still keeping the US out of a commitment it wouldn’t want to follow through on. Immediately after the meeting it was unclear whether or not the American offers would be enough to bring Arab states on board with the nuclear negotiations. Saudi Arabia’s Foreign Minister was non-committal. At the same time, Iran is not exactly sitting in the best position either. Even if the government can overcome its own hardliners and reach a final deal, the road ahead will be bumpy. Sanctions may be lifted, but it will still be a struggle for the Islamic Republic to attract new investment. Reuters reported that an array of large multinational banks, mainly European, will balk at going back into Iran even if a deal is signed. That is because while international sanctions on doing business in Iran will be lifted, there will still be a series of US designations on Iran related to its sponsorship of terrorism. The US Treasury Department will still not necessarily give Iran a clean bill of health, and that could scare away banks from returning en masse to Iran. Back in the US, there is growing evidence that US shale drillers could be on their way to making a comeback. 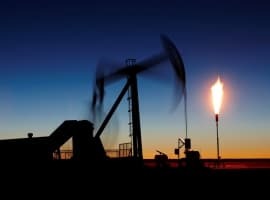 After a parade of companies insisted that they will restore some of their drilling activity this year if oil prices remain stable, more and more news outlets have begun predicting a comeback. Continental Resources (NYSE: CLR) chief said that his company and other American drillers will not be killed off by OPEC. “They want to stop shale oil,” Harold Hamm told the FT. “They might for six months, but not for the rest of time.” Once prices rebound, so will drilling, he says. But Hamm also predicted that Saudi Arabia’s strategy to kill off shale will likely spur strong momentum in the US Congress to lift the ban on crude oil exports. That would lead to a renewed push for drilling as US exploration companies would have access to a wider market for its product. Indeed the Republican Senator from Alaska, Lisa Murkowski, the top Senator on energy issues, introduced new legislation this week that called for scrapping the decades old prohibition on oil exports. Related: Who Is The Biggest Player In Energy? Speaking of a US shale comeback, conflicting data came out this week on the state of the industry. The state of North Dakota released figures that showed that production in the Bakken actually increased for the month of March. The uptick in oil production came as a surprise, as the number of drilling rigs in the state – now standing at 85 – is far below the 130 or so the state says is needed to keep production flat. At the same time, the EIA released fresh data that predicted overall US production will decline by 86,000 barrels per day in June. The data suggested that cut backs in drilling are finally trickling down to actual production levels. In Seattle, Royal Dutch Shell (NYSE: RDS.A) defied the city by sending its Arctic drilling rig to the port despite the lack of a permit. Activists promised to meet the rig in the harbor in kayaks, but Shell had no trouble in docking its ship. Shell will be fined a pittance by the city, but plans on moving ahead. It is gearing up for its much-anticipated return to the Arctic this summer, and just a few days ago received the go ahead from federal regulators. Could This New Business Model Save Fracking? Are US Drillers Actually Making A Comeback?